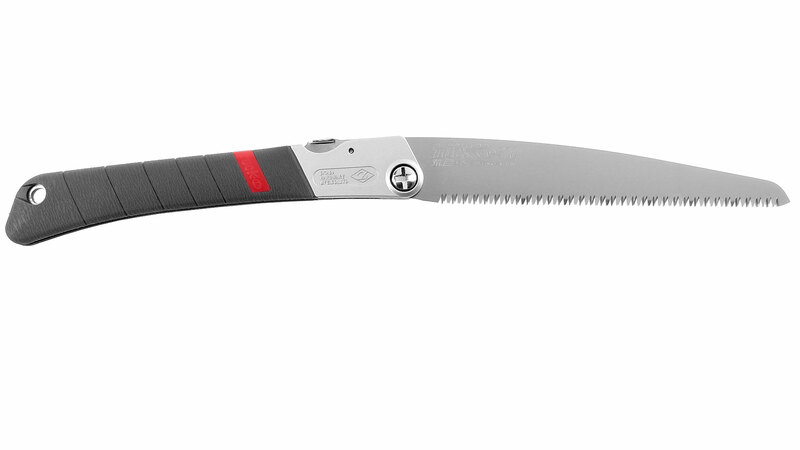 In the garden, in the woods, on building sites, and even occasionally while travelling, tree saws can be an indispensable companion. There is one for every purpose. Important: For green wood outside, one should always use a coarse-toothed saw. In a saw with fine teeth, the wet sawdust sticks between the teeth and the saw quickly becomes too clogged up to cut. For dry wood a saw with fine teeth is best. Dry soft woods can to some extent be cut with a coarse-toothed saw, but with dry hardwoods and bamboo, a fine-toothed saw is absolutely recommended. 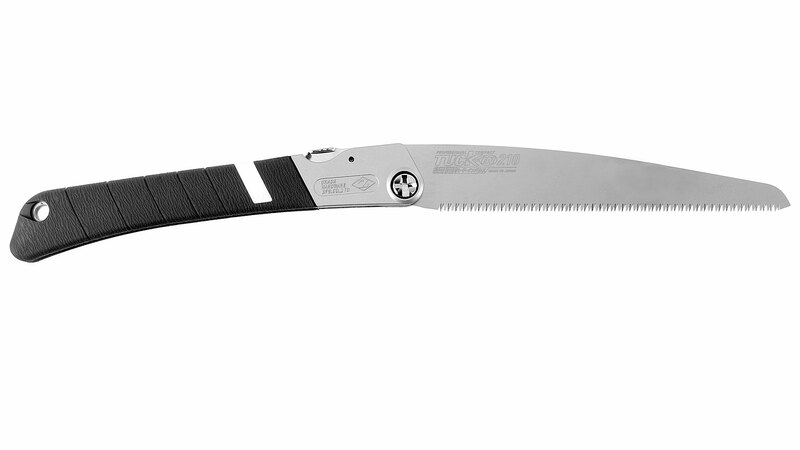 Not only for pruning: if you are proposing to go into the wilderness take this saw with you as your faithful servant! Also suitable for wet wood in carpentry! 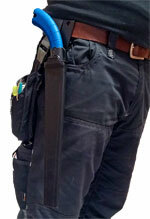 The ergonomically formed soft plastic grip allows comfortable work. 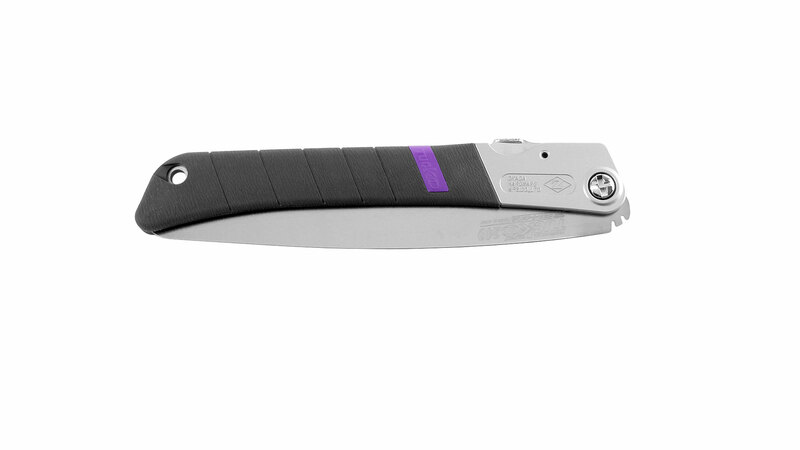 The blade locks in two positions, which can ease access to tight or awkward corners. See the photo to the left! Easy blade change! Made in Japan! 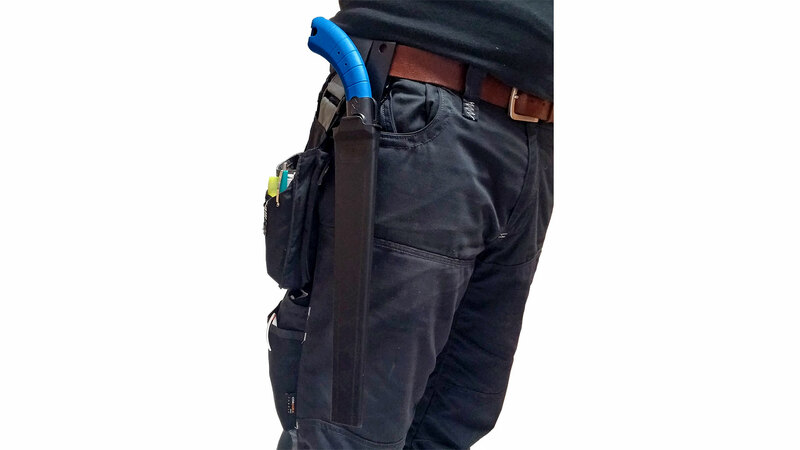 The ergonomically formed soft plastic grip allows comfortable work. 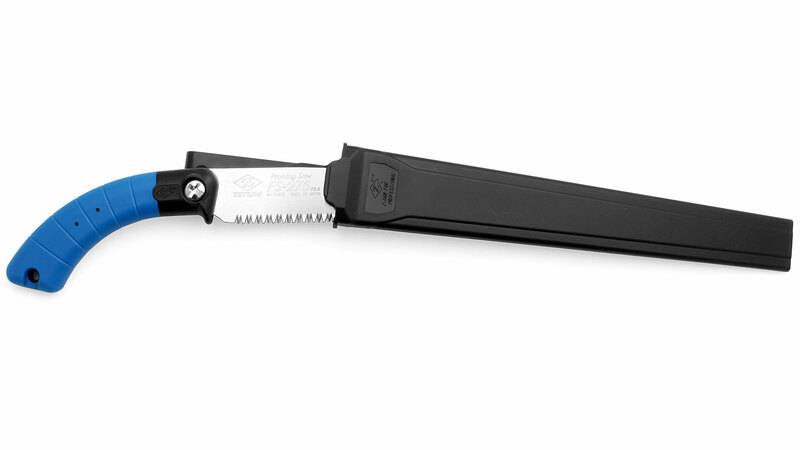 The blade locks in two positions, which can ease access to tight or awkward corners. See the photo to the left! Easy blade change! Made in Japan! 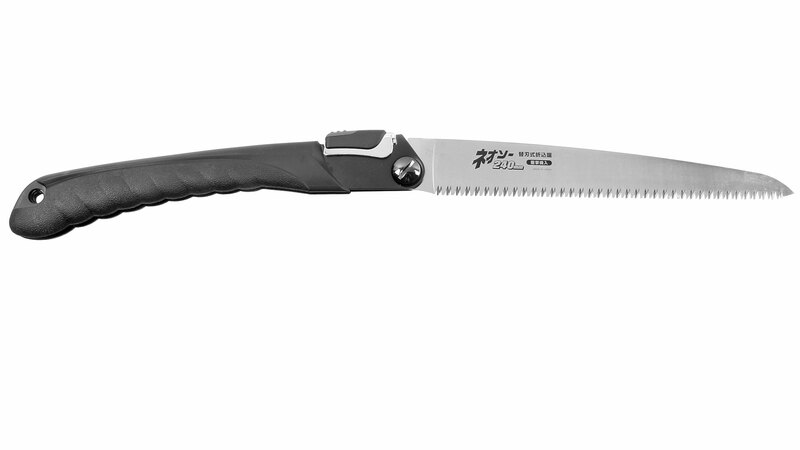 This large Japanese tree saw is unusually well made with a top-quality blade. In cold weather, the soft plastic covering on its aluminum grip helps avoid frozen fingers while working. 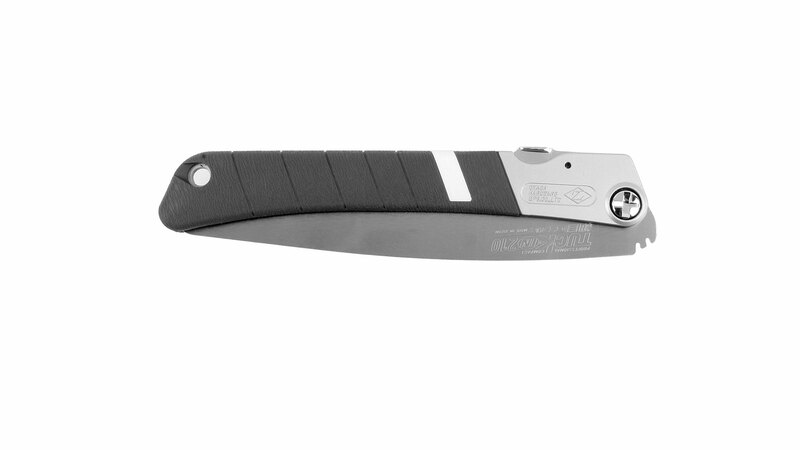 The blade can be locked in two different positions, allowing one to get into tight or awkward corners among branches. See small photo to the left! 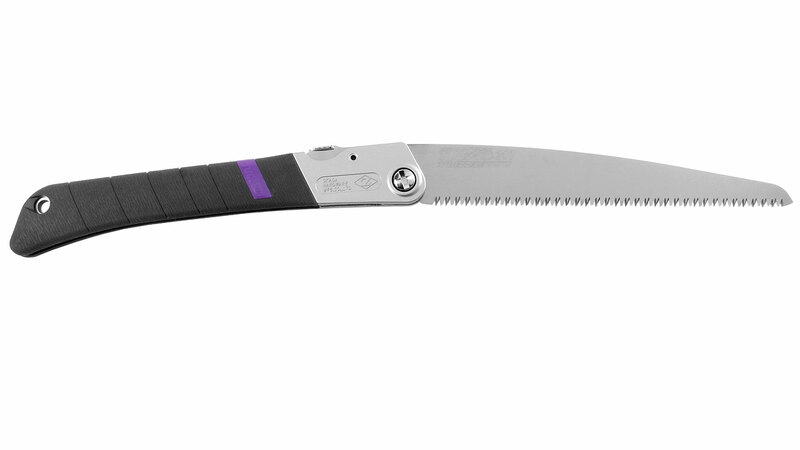 This is the right saw for quick work! 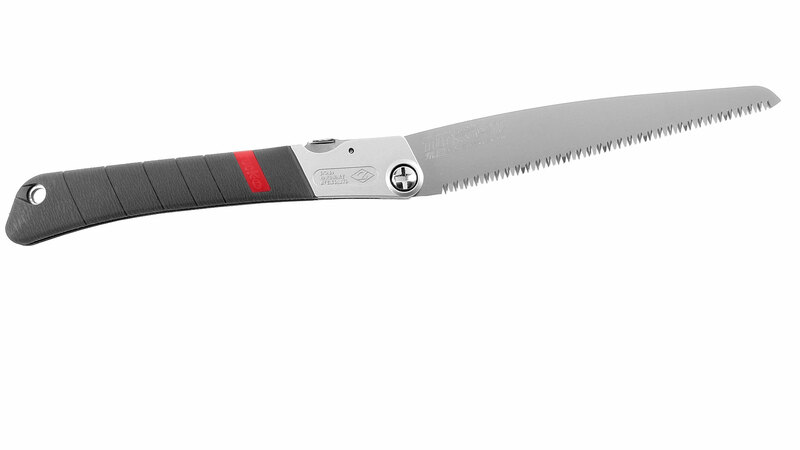 Similar saw to above, but with a finer blade. 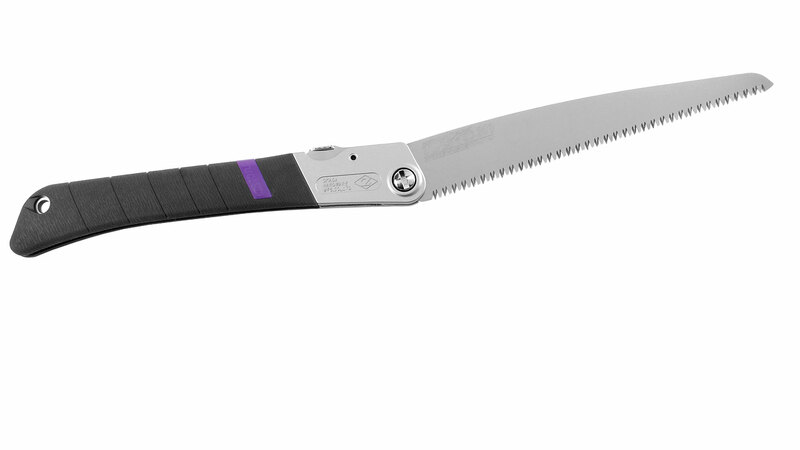 This saw is the choice when one needs a finer cut, as with pruning fruit trees, for instance. 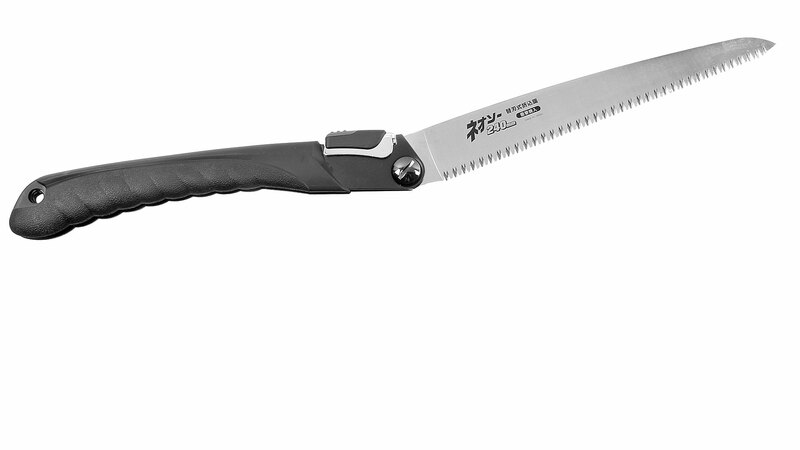 Blade length and tooth size makes this saw a good choice for cutting bamboo, as well. 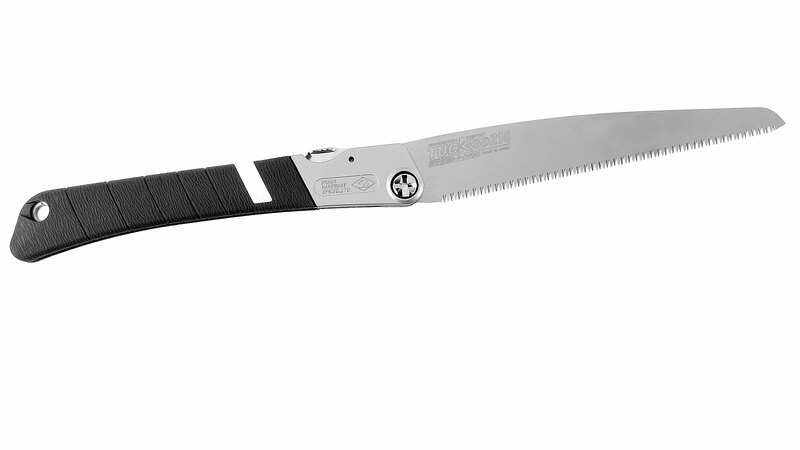 With its plastic sheath plus belt loop this saw is safe and convenient to carry while being always ready to hand on the belt. 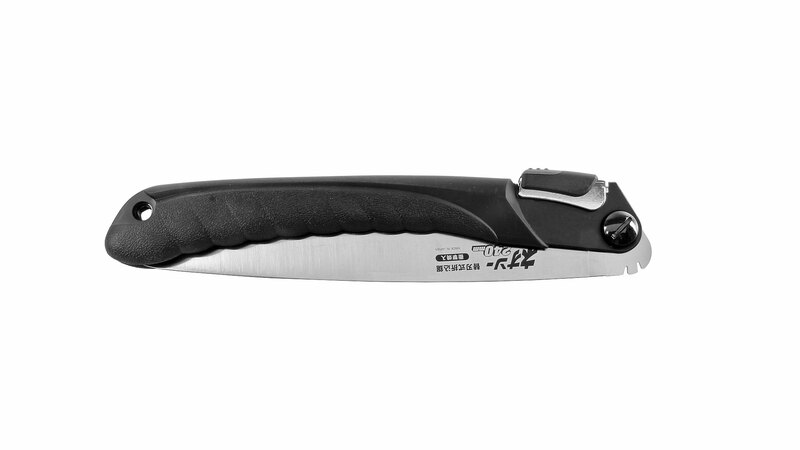 The saw handle slots into the plastic sheath so that it won’t drop out even if you get into an awkward position, eg, when climbing a tree. 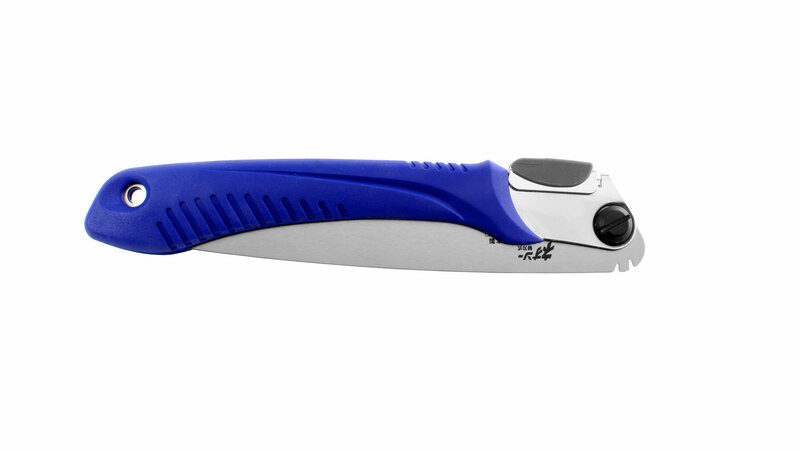 The gripping section of the ergonomically shaped saw handle is made of soft plastic that is pleasant to hold even in cold weather. 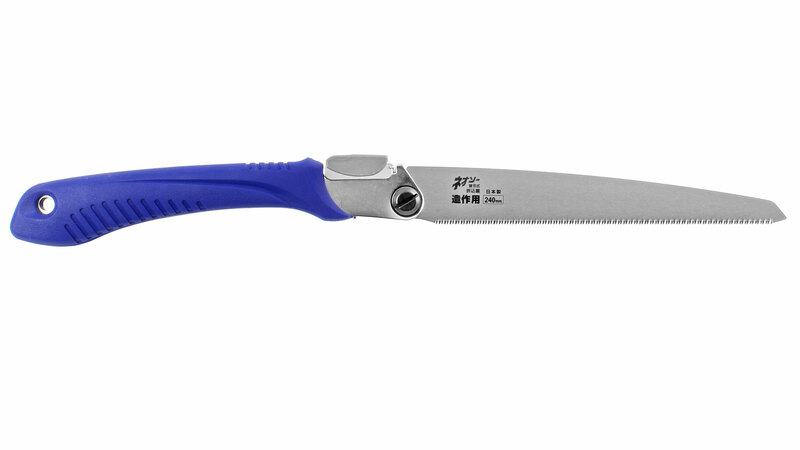 The saw blade is nickel-plated to prevent rust and laser-hardened for a long service life. 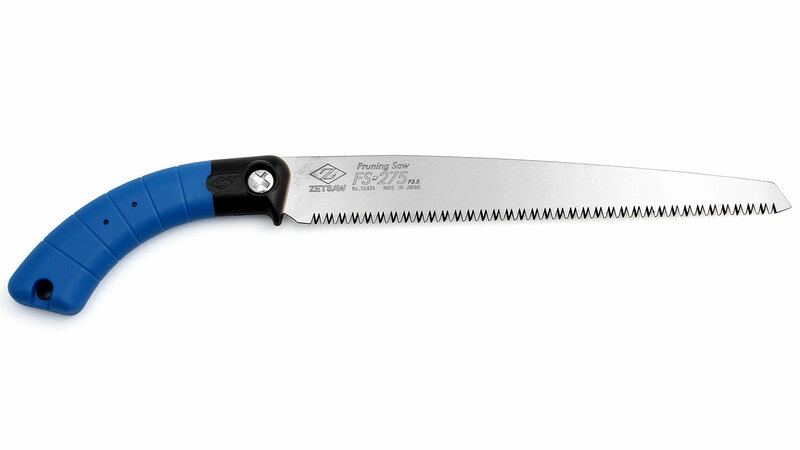 The relatively fine cut means the saw is especially suited for pruning fruit trees - from apples to olives. 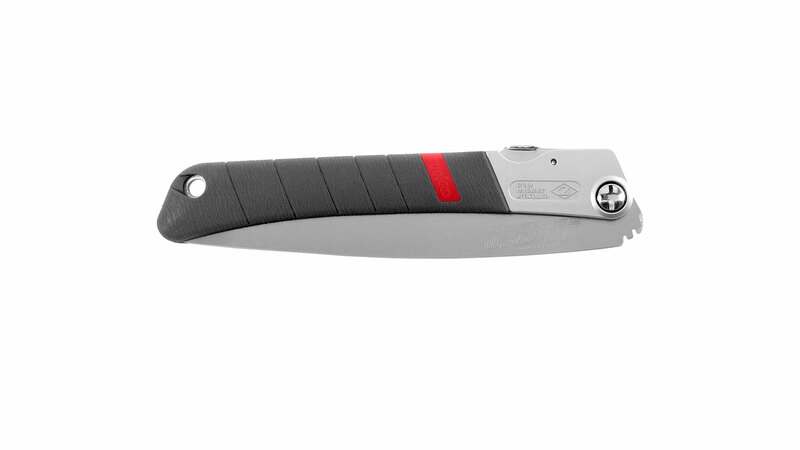 The blade is easy to replace; all you need is a coin to loosen the screw. 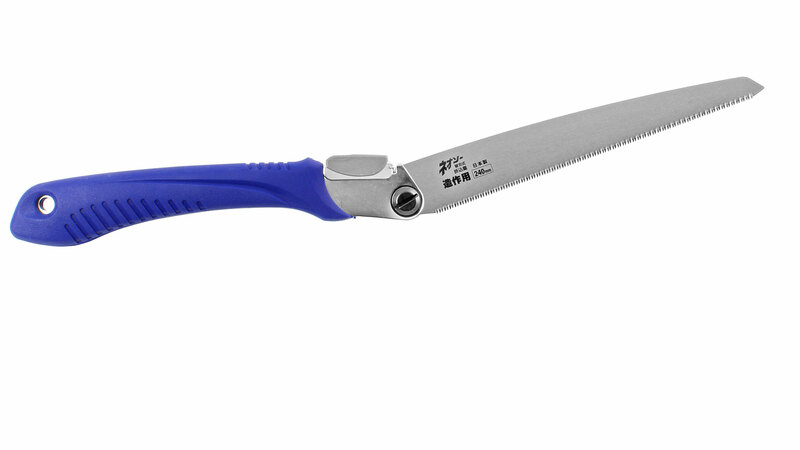 It is a pull saw like all other Japanese saws. Manufactured by Z-Saw in Miki, Japan.